Native to Toronto, Garth Armstrong is a graduate of the internationally renowned Ontario College of Art & Design (OCADU) in the communication and design program. In the early stages of his painting career, he focused mainly on the use of watercolour on paper. 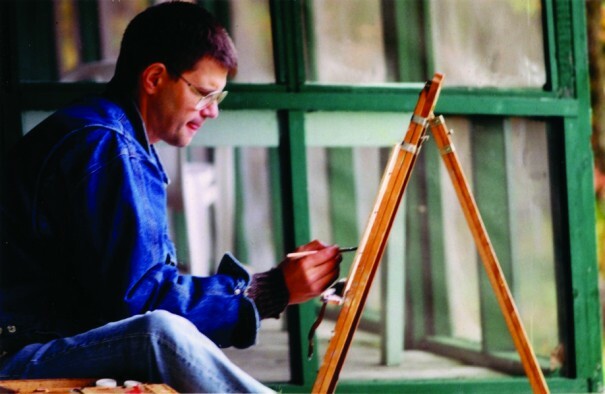 Garth switched mediums and began following in the footsteps of the iconic Canadian painters of the Group of Seven, discovering that painting “en Plein air” let him bring together his passion for the outdoors and his artistic gift. His style explores an Impressionistic technique and palette, capturing the unique light and colour of the Canadian landscape, creating paintings that are evocative, original and irresistible. He has the eye of both an artist and a naturalist. Working from small 8 X 10 oil on board sketches, most often completed on location, Garth creates larger oil paintings on canvas in the studio. These paintings are painted wet on wet on a warm ground colour, working dark to light, with thickened oil paint with no mediums involved. He describes his paintings as a moment in time, captured and recorded in paint. Garth’s artwork is represented exclusively by Artworld Fine Art Gallery in Toronto, Ontario. 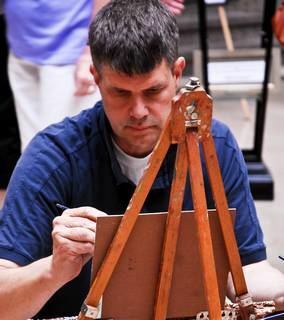 Garth is a member of the Ontario Society of Artists and the Oil Painters of America. Garth pursued a career in graphic design, and is an experienced art director and marketing executive. Garth is also a highly sought-after art instructor, regularly selling out classes months in advance.